Take the family out for a little holiday without the stress of flying or worry of jet lag. Here are a few ideas your family could enjoy doing as a patriotic celebration of British Travel Week. 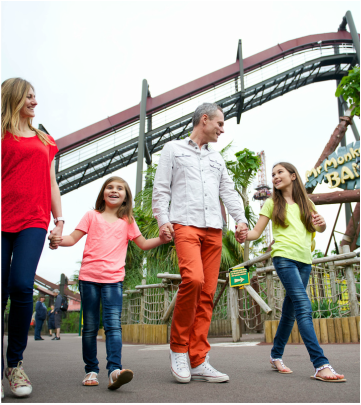 There are so many great theme parks across the UK, so why not experience the joy of one? Go on rides at Thorpe Park, Alton Towers, Legoland, or go to Adventure Island where admission is free. A day at the beach is certainly a favourite. Try Rock Reef in Bournemouth. This isn't just a beach: the rock-climbing, PierZip (with the line straight above the sea), exploring the caves, ball pits and the indoor aerial obstacle course makes this the perfect destination for every adventure. For the older and more adventurous ones of you, Hadleigh Park is the perfect spot for a little mountain biking. You can also explore the hills, have a long walk, or you can even hire the venue if you want to bring more friends along. You can check out Surf Snowdonia as well for a little surf action, water fun and activities for the younger ones. A little fun by the beach for the whole family. Not every public attraction has to be boring for the kids. Start with the London Zoo. 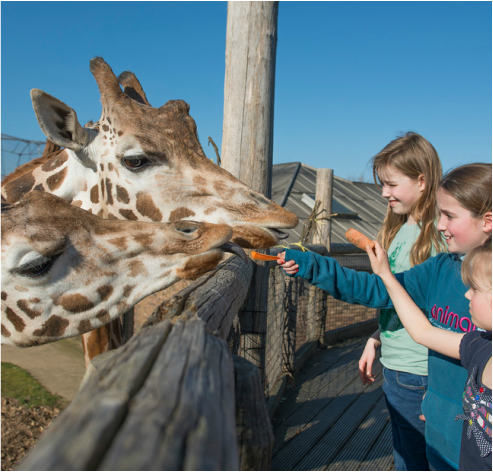 There's nothing like enjoying a few exotic animals and giving the children the opportunity to explore the animal world. Another great zoo is Chester Zoo in Cheshire, where they have 6 different islands to explore. Every child will enjoy Shrek's Adventure, where they can join a tour bus that will take them into a land 'far far away'. Eden Project has a new exhibition starting in summer 2016, where the whole family can meet dinosaurs: experience their real size, look and type. Another great spot is visiting the aquarium and educating the young ones while they enjoy the spectacular sea life. The National Marine Aquarium in Plymouth is the largest aquarium in the UK, so they'll certainly have a lot to see. There's also the Blue Planet Aquarium in Chester and the London Sea Life Aquarium, amongst many others across the country. If you want to make a few special memories and get the whole family to try something new, why not go horse riding? Stag Lodge Stables can introduce children as young as 3 to horse riding. Kayaking is another great sport to explore. Aqua Sports provides lessons and introductions to kayaking so that you and your family get the best out of your experience. There's always the option of trying the London Dungeon. This will make a great memory for the whole family. Get spooked, excited and enthralled by all the history.